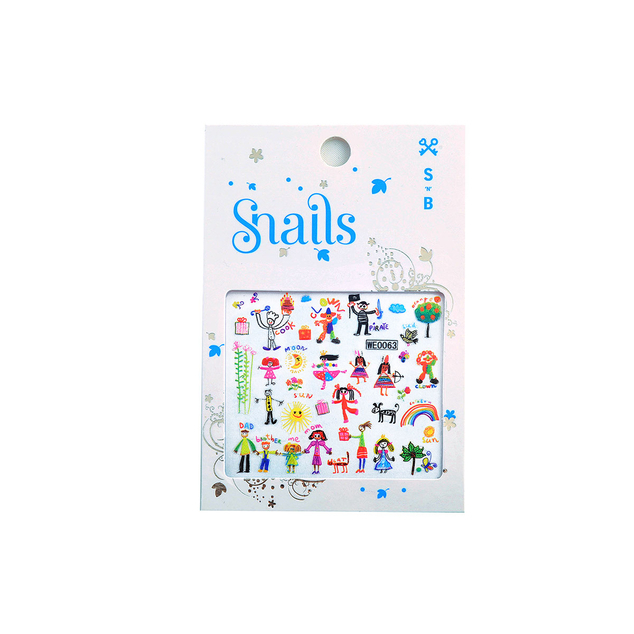 Add instant glam to little nails with the Snails Nail Stickers. Make fingernails fancy in a second by sticking on these cute little stickers. Use them over bare nails or on top of Snails Safe Nail Polish for a fast party look! When you're done, just peel off and discard. It's instant 3D nail art! Available in Perfect Princess or Little Storyteller designs.